Skynet Media Solutions is an aerial imaging company providing cinematic images using state-of-the-art stabilized camera systems and FPV monitors. We capture the highest resolution in still and motion video images to meet your aerial photography needs and deliver the highest quality UAV services available. Unmanned Aerial Vehicles (UAV) otherwise known as drones, is an emerging technology. While the FAA has issued new UAV guidelines, Skynet Media Solutions is Part 107 compliant, our pilot is a licensed Helicopter Pilot. We operate well within the limits of safety while respecting the privacy of others. We work with advertising & marketing companies, production houses, real estate agencies and businesses that seek new methods to promote their marketing needs. 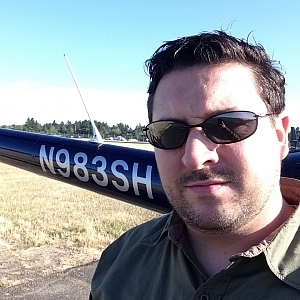 Also Certified FAA Pilot is for hire for $60 an hour for on site consulting. Next Generation Professional Hex-Rotor Platform. Retractable Landing Gear, Folding Propellers, and Folding GPS Bracket. 20 to 30min flight times on a single battery. I have 3 batteries for standby up to an hour of flight time when changed out. I received my helicopter pilot license in 2010 and I've been flying ever since. I've been flying drones for 8 years now and have over 2000 hours in pilot in command (PIC). I also hold a (UAS) drone pilot license. I own a little company called Skynet Media Solutions and it does aerial imaging for all kinds of work. The drone that I fly is the DJI S800 Evo with a Pansonic camera.